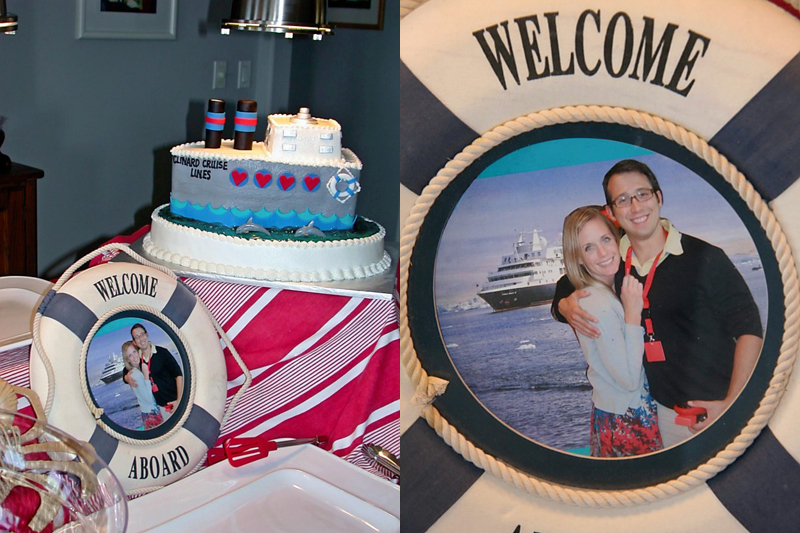 Remember when I did this invite for a Love Boat themed bridal shower? Well, I am finally getting around to putting up the photos of the fabulous party that creative geniuses Barb, Kate & Colleen put on for their friend Jamie. I have to start with this cake! Could you die 800 times please? Wow! It’s just fabulous! And it looks exactly like the invite. Amazing. 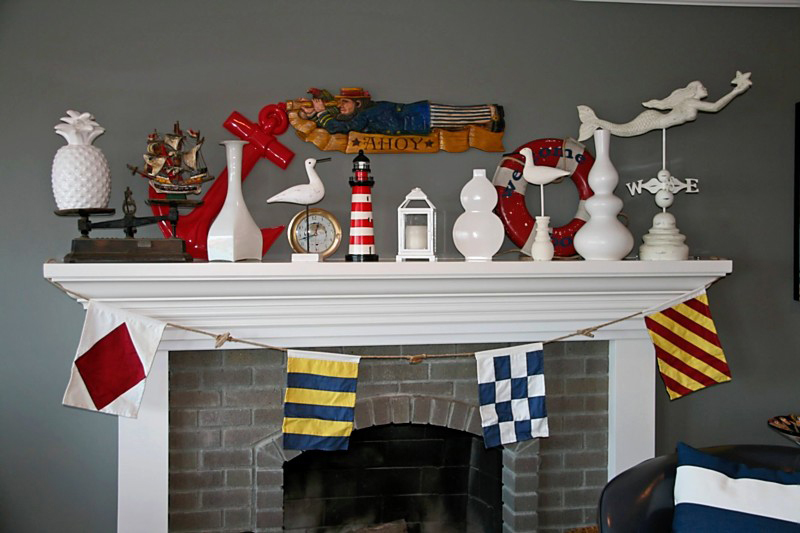 They got totally nautical-by-nature and turned their home into a virtual cruise ship. 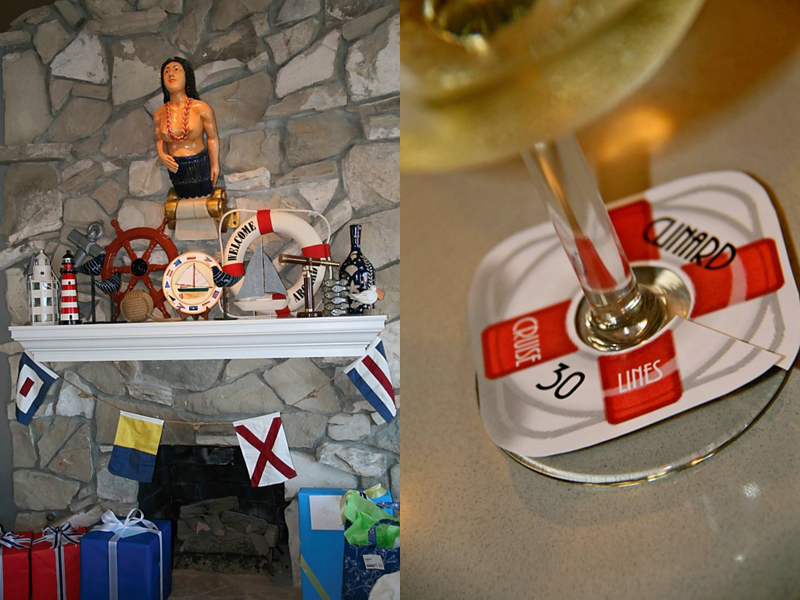 One of my favorite details was the life preserver around the wine glass. They printed these on thick cardstock and had a different number on each one. Basically think of it as an updated “this wine is mine” charm type of thing. Super great idea to copy! Brilliant! 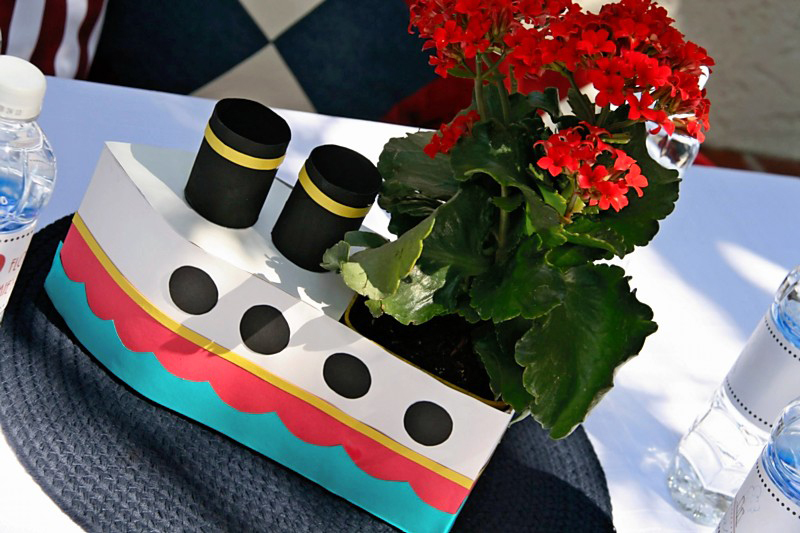 Another way they blew my mind was by creating boat planters out of… milk cartons! Can you believe that? Totally adorable, totally high impact, and all for the cost of a half gallon of milk! Darling! 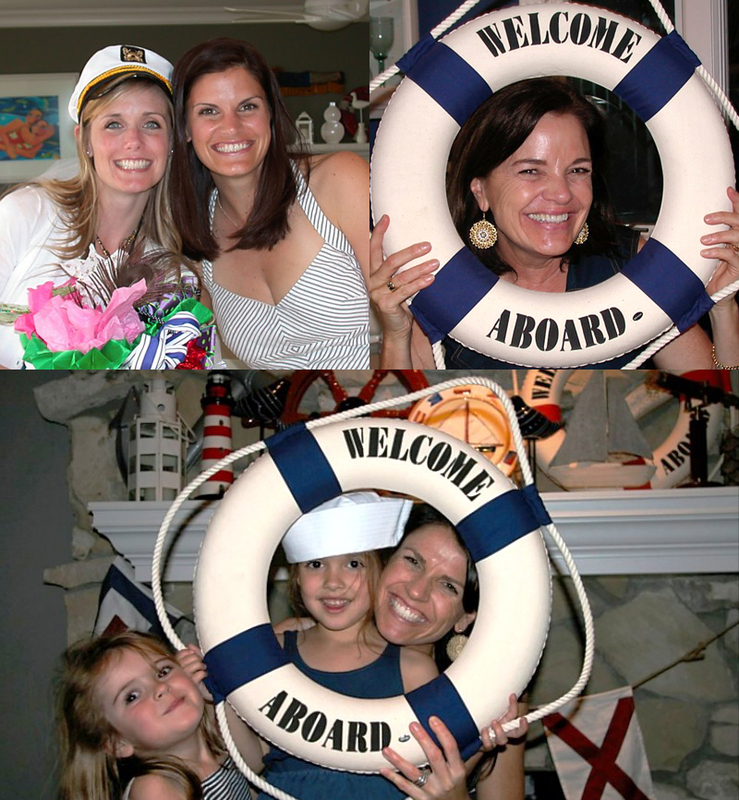 They made the bride-to-be a captain’s hat with a veil attached and used life preservers as life-sized frames. How festive! 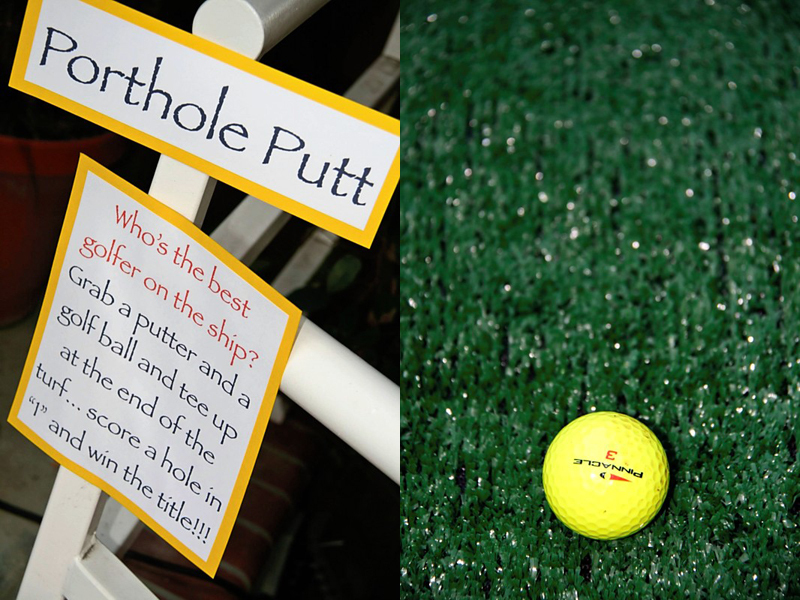 And who would book a cruise without those fun ship games? They had a few different stations where you could golf and play other fun cruise games. How clever! I am ready to book my cruise on this party ship! Who’s coming with me? Thanks for letting me share your party, ladies! It is truly beyond fabulous. 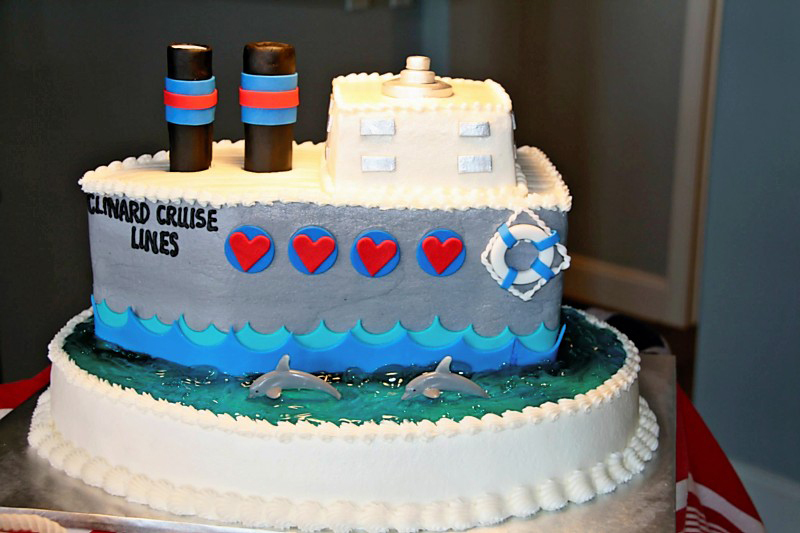 This entry was posted in bridal showers, parties for grown ups and tagged bridal shower idea, bridal shower theme, cruise ship bridal shower, cruise ship party, love boat theme party, nautical bridal shower, ship shower by Annika. Bookmark the permalink. Holy CUTE! That is ADORABLE!